Story of author getting kicked out of leading Bible Study in prison. Christian “self-denial” isn’t to ignore our self-interests. Be in community to be able to facilitate shared action based on mutual self-interest. One-on-one interviews are the best way to get from an I-it to an I-Thou relationship. Agitation is needed to break out of “niceness” that paralyzes us. Yet we must learn how to do so tenderly and always aimed at life. Regionalization as model for planning to help with urbanization/suburban sprawl problems. Is Grace UMC perfectly situated to be a leader in “regionalization” in our area? Where there is no vision, the people perish (Prov. 29:18). Without organization, the vision perishes. 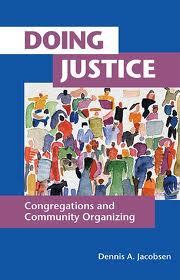 Stay connected to life-giving practices in justice work.